Dearest Mal, as requested a (hopefully) funny Australia story–Happy Birthday!! Show of hands of how many people NOT from Australia who like Vegemite? Or have even tried Vegemite? Or even heard of Vegemite in a setting other than a Men At Work song? 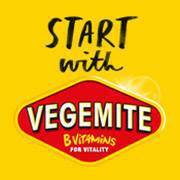 Start your day with Vegemite, rich in B vitamins to kick start your day! From eggs to avocados, you don’t have to stop at toast when your Start with VEGEMITE. I’m quite sure it’s why Aussies–as a whole–are a happy lot of people. 1. It is savory. 2. A little dab goes a very long way. I’m very sure that Aussies leave out these two little facts because they like to see the reactions, particularly of Yanks, when someone tries Vegemite for the first time. All they tell you is how fabulous it is and how every Australian looooooooooves it (I mean, everyone–there are like 20 people in the entire Australian population who do not like Vegemite). I moved to Australia as a Rotary Foundation Ambassadorial Scholar (THANKS Rotary!!) to study Biological Anthropology at The Australian National University. Since I was making housing arrangements from Texas, I decided living on campus would be the best option until I got my bearings. The choices for graduate students, however, were quite limited and I finally ended up at John XXIII College, which was governed by the Catholic Church and overseen by a priest in residence. I would like to interject one more rule about trying Vegemite for the first time: NEVER do so in front of a priest. During my first week, I observed my residents all eating this dark brown tar looking stuff on toast and sandwiches and even bananas. My thought is that it probably tasted kind of like Nutella (Aussies, try to keep laughing to a minimum please!) and Vegemite is to Australia what peanut butter is to The United States. The latter part of my thought was correct. The former part of my thought was completely wrong…WRONG…WRONG! I finally, at the behest of the aforementioned priest, decided to give it a go. I mean, it looks like it tastes like Nutella and everyone was eating it, so how bad could it be? At that point my brain assumed we were being poisoned and did the only logical thing in that situation: ordered my mouth to spit it out! My mouth complied more quickly than anticipated to spit that horrible, disgustingly savory and salty nastiness out! There was no time to dispose of it like a lady to make my Ome proud. Nope. My fight or flight senses kicked in still fearing poison and with a very loud plaaaaghttttt! my big ol’ bite went sailing out of my mouth and across the table, landing–to my horror and dismay–right in front of the priest. Someone gasped. I’m sure it was me. I’m also quite sure additional gasps were coming from neighboring tables. The entire hall, filled with breakfasting residents, stopped and stared at my painfully embarrassed faced and the stunned look of the priest, now staring at my big ol’ bite of Vegemite toast which had been catapulted to the edge of his plate. Stillness. Staring back and forth from the priest to me to the priest to me. I’m trying very casually and nonchalantly grab the spat-out toast, however, I am now faced with the realization that I can’t actually reach across the table to grab it, so I did what I think anyone would have done–I flicked my napkin across the table so that at the very least, the toast was covered. And then resumed the best stately position I could under the given circumstances. It took a long time for me to acquire a taste for Vegemite. And I have to admit, I rather enjoy giving it to unsuspecting people who mistake it for an Aussie version of Nutella…I think of it as homage to my fellow Aussies.